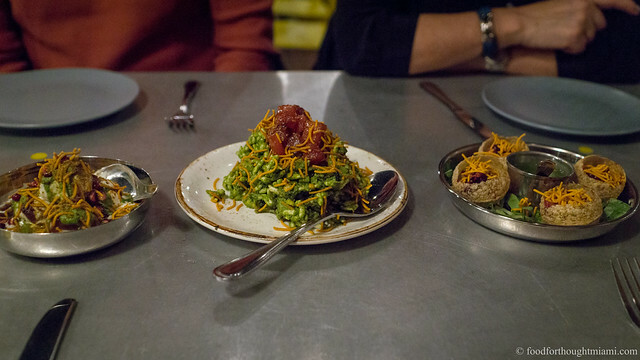 food for thought | a miami food blog: Aged Stone Crabs, Anyone? I've generally done my best to ignore the recent glut of dining "deal" sites. "Groupon" is just a tremendously unappealing-sounding name, and there is usually way too much fine print for me to pay much attention to the various other incarnations. Besides, in food as in life, what sounds like a "too good to be true" deal often is, and many other folks are doing a fine job pointing that out, including Ryan Sutton with "The Bad Deal," and closer to home, Chowfather with his "Jilt City" experience at STK Steakhouse. There's also been plenty of discussion of whether participation in these deal sites is really any good for the businesses either. But they don't seem to be going away any time soon, and even almighty Google is getting into the act with "Google Offers." Still in "beta," the inaugeral Google Offer for Miami was a $69 signature meal at Joe's Stone Crab, featuring a choice of stone crabs, steak, chicken or salmon, open beer and wine service, side dishes and dessert. Of course nobody in their right mind goes to Joe's Stone Crab for the steak, chicken or salmon (at least not for $69 - though the fried 1/2 chicken for $5.95 remains one of the all time greatest deals in the food universe). It's all about the stone crabs, a seasonal and usually pricey item. Indeed, Google Offers claims the dinner is a "$135 value." Even better, the "exclusive, private dinner" scheduled for October 10 lets you kick off the stone crab season early, ahead of all the shmoos waiting until the restaurant officially opens nearly a week later. The season for the harvest, possession and sale of stone crab claws shall be from October 15 through May 15, each year. No person, firm or corporation, shall harvest, or have in his or her possession, regardless of where taken, or sell or offer for sale, any stone crab of any size, or any parts thereof, from May 16 through October 14, each year, except for stone crab claws, placed in inventory by a wholesale or retail dealer as defined in Section 379.414, Florida Statutes, prior to May 16 of each year. If you're eating stone crabs on October 10 - they've been on ice for the past five months. 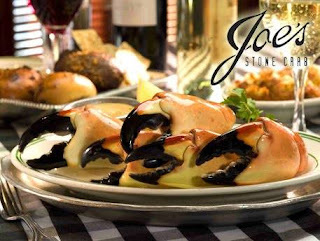 In other words, Joe's Stone Crab just convinced 400 people to pay $70 for last season's stone crabs. There's a reason they've been in business 99 years. This one must have been "curated" by Glee Schrager. I'm on the Groupon email blast and have purchased a few along the way, (none for restaurants) and find that they generally offer value. Legitimate 50% type deals at stores like the Gap, Old Navy, GNC etc. They've also tipped me off on some new stores/restaurants in the area. Gilt City is another story. They offer no value and are basically rip offs. The most and LAST Jilt was mentioned in the post. I knew my deal at STK wasn't really a deal after I bought it but that wasn't the issue. They didn't even deliver the meal they promised and that's BS. I'm sure STK was partly to blame but someone at Gilt has to be doing some quality control. Lee, not sure you want to be associated with these clowns. Just sayin.. Thanks for keeping your readers up to date on stuff like this. That is a pretty crappy deal.